CASP UK helps people to find and interpret the best available evidence from health research. It is part of an international network that shares a commitment to self-directed learning and promoting better understanding of science. 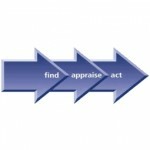 On this website you can find out about the CASP approach, download the CASP checklists, and find out what sort of workshops we offer to help improve your appraisal skills. You can even commission one that is custom designed for your needs. “CASP UK” and “Find out about the CASP approach” links are broken. Thanks Giordano, we are looking into that. The great thing about the CASP tools are that they are all free to use and have been successfully used for over 20 years and still address the core issues. Tedavilerin adil testleri neden gerekmektedir?